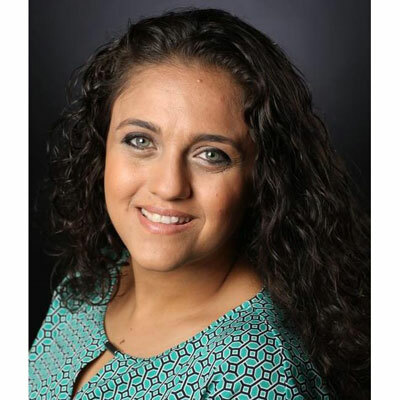 Mira Ayad has worked with AWS Partner Network (APN) Partners since joining Amazon Web Services in 2015, pulling from over a decade of experience working in the IT Channel. As the Head of Channel Programs Strategy and Development (Incentive Programs), she developed the AWS Solution Provider Program focused on helping Consulting Partners provide customers one stop shop for all of their AWS needs. Mira is leveraging her extensive channel background to help APN Partners develop AWS practices and solutions to serve business customers of all sizes. Prior to Amazon, Mira worked at Microsoft in a similar capacity and had a great impact on shaping the next wave of cloud first partner channel. Mira has a wonderful family with 2 very energetic boys and a great supportive husband that are both her anchor and motivation. Over the past 12 months, Mira Ayad's Programs was able to grow the channel business by 3 folds. She architected and built the new AWS Solution Provider Program from the ground up. Her work on the AWS Partner Network (APN) help create a new breed of AWS Partners, growing the indirect Consulting Partner provider business by 100% year-over-year. Mira's 10+ years of experience in the IT Channel helped her build the Consulting partner practice at AWS and enabled partners to build groundbreaking end-to-end solutions. Mira Ayad was also able to open more than 25 new markets for AWS Channel Reseller Program and the AWS Solution Provider Program. Licia Ronzulli is the one who brings her daughter to vote with her at EU Parliament, has shone a light on issues of career/family balance, gender disparity in household responsibilities, and the need for accessible childcare, all while maintaining dual roles as an attentive mom and dedicated Parliament member." Speak up! Don't be shy to speak your mind and share your opinion out loud. You can't assume the obvious is obvious. Your experience and knowledge have value in a given situation. No one else has your unique perspective. One day I wish to learn how to code! Crossing the Chasm: The reason I like this book is for the new perspective in "selling" products by using a particularly useful distinction of easy to sell versus easy to buy. Instead of developing a really easy to present sales pitch, make shopping for products fun for the potential customer. By the time I finished reading this book, I had an understanding of why certain projects /products did not catch on and why really ugly designs made it while beautiful ones didn't.